In the upper part of the ring there is an inscription along the rim: "БАНК РОССИИ" (BANK OF RUSSIA), in the lower part — the year of issue "2014". On the left and on the right sides of the outer ring of the coin there are stylized images of a laurel tree and oak twigs respectively, going over to the disc. 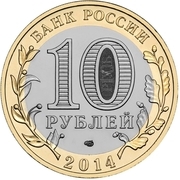 In the center of the disc there is an indication of the face value of the coin "10 РУБЛЕЙ" (10 ROUBLES) in two lines. 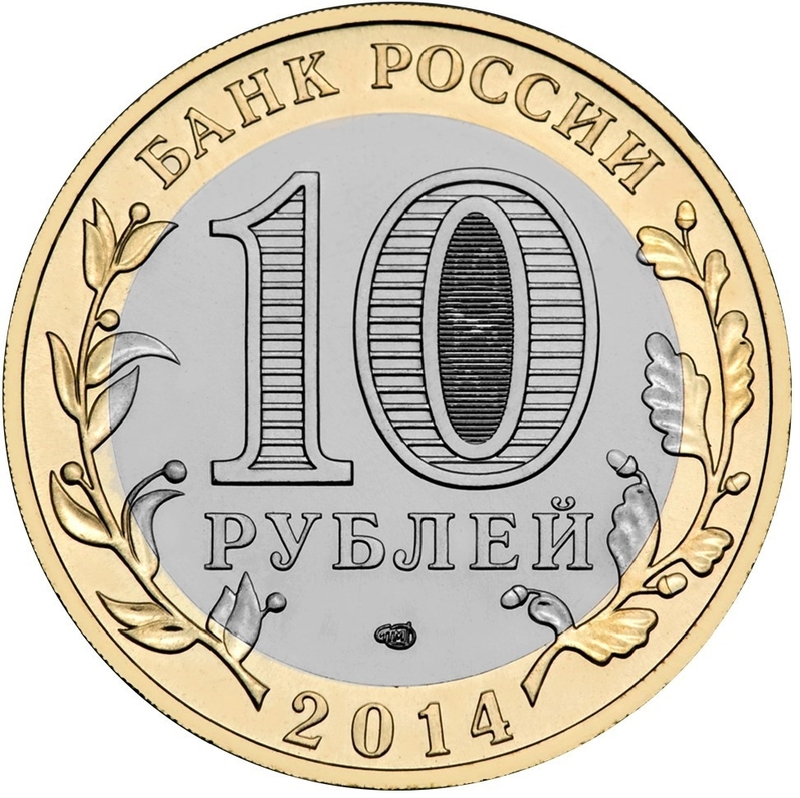 Inside the figure "0" there is a protective element in the form of the figure "10" and an inscription "РУБ" (RUB) visible by turns when changing an angle of vision. In the lower part of a disc there is a mint trademark. 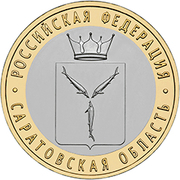 Image of Saratov Region emblem placed on the disc and inscriptions on the ring along the circumference: "РОССИЙСКАЯ ФЕДЕРАЦИЯ" (THE RUSSIAN FEDERATION) at the top and "САРАТОВСКАЯ ОБЛАСТЬ" (SARATOV REGION) at the bottom.